The Bloom Tablecloth is an interactive centerpiece that invites everyone to participate in setting the table for a special, outdoor meal. It is a modular textile system composed of large, medium and small, floral pieces that notch together and can be laid out in a variety of arrangements, creating a festive and textural surface on which to eat. 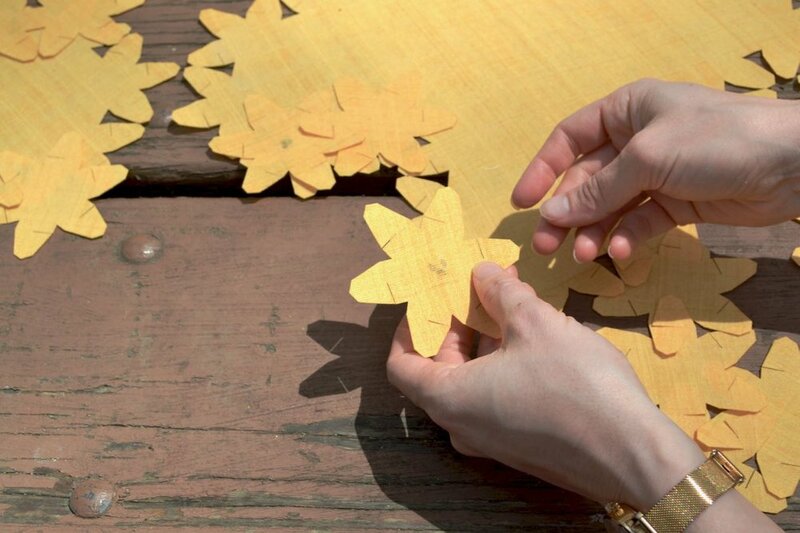 The Bloom Tablecloth also encourages users to finish their event by giving back to nature. Many of the small-sized pieces are embedded with butterfly milkweed seeds, an important native wildflower that contributes to the health of and reproduction of monarch butterflies. These seed pieces can be detached at the end of the meal and planted directly into the soil. 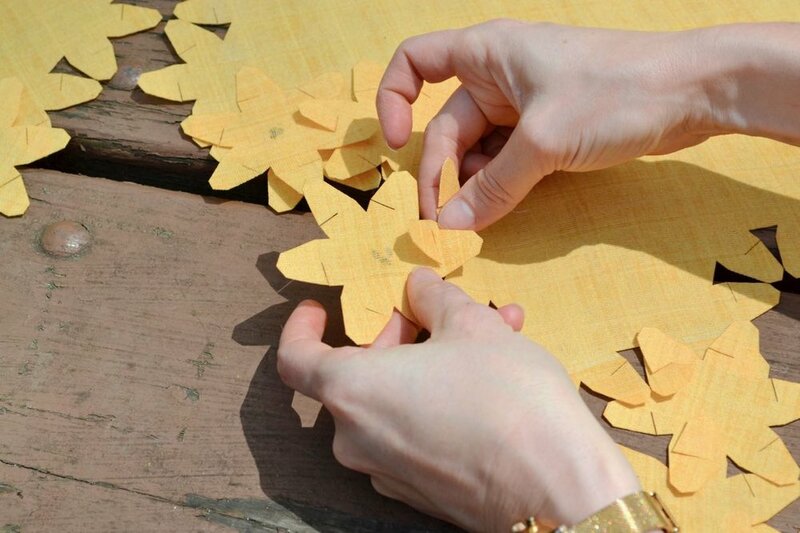 Rather than using a plastic tablecloth that would sit in a landfill for generations, families can plant this textile to beautify the landscape and support a threatened pollinator species.